If you're a Southie and planning to date with someone on Valentine's, here's a musical treat for you from SM Bicutan. As they'll bring in the magic of love and life with Heart Beats 2.0. 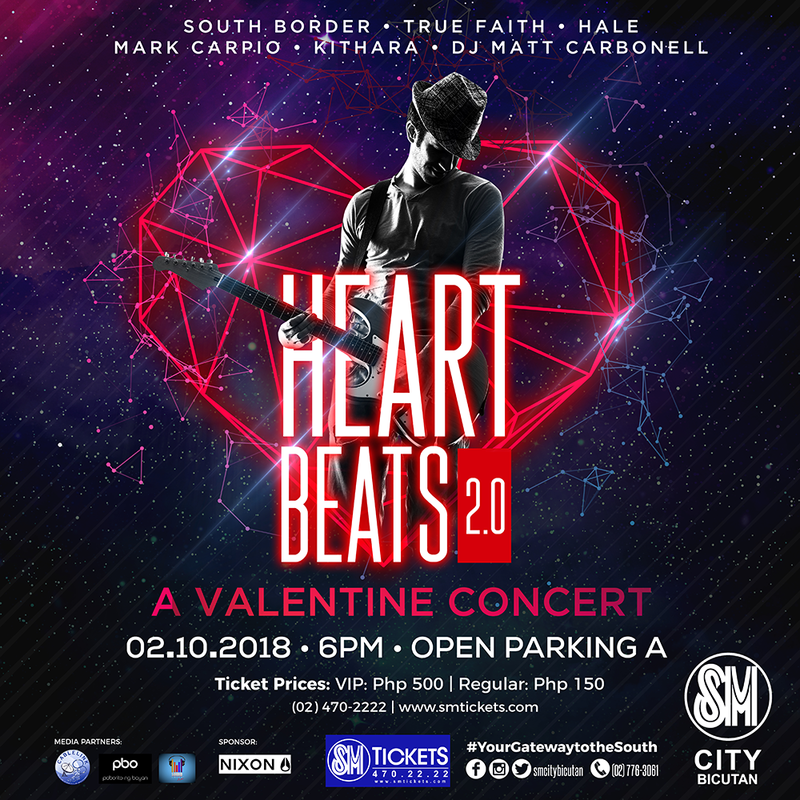 On the 10th of February, fall in love all over again with the songs of True Faith, Hale, Mark Carpio and South Border. Satisfy your cravings with good food available at the Food Corner and after listening to great music, get ready to dance the night away with beats from DJ Matthew Carbonell. But before everything else the will be an outdoor movie screening that will start at 4:00PM and dive in to our ball pit in the city where you can have loads of fun with the squad. Experience all these at the Open Parking, Bldg. A of SM City Bicutan. This event is exclusive to ticket holders. Ticket prize starts at P 150.00 for the regular pass and P 500.00 for VIP pass. Gates open at 3:30PM and fun starts at 4PM. See you there!